Beemer: "'MY GREATEST QUARREL WITH FORTUNE': Major General Lew Wallace in the West, 1861-1862"
As author Charles Beemer amply demonstrates in "My Greatest Quarrel with Fortune": Major General Lew Wallace in the West, 1861-1862, the Indiana political general was a fine field commander whose Civil War career was marginalized largely due to his personality and conduct off the battlefield. Readers will perhaps recall that another book on the subject [Shadow of Shiloh: Major General Lew Wallace in the Civil War by Gail Stephens (Indiana Hist Society Press, 2010)] was published only a short time ago. While the authors find themselves in agreement on most key issues and controversies surrounding Wallace, their approach angles and analyses are different enough in nature to make both highly recommended reading. Unlike Stephens's more comprehensive career assessment, Beemer zeroes in on Wallace's first twelve months as a general in the western theater, concentrating on the disputed events of Shiloh's first day. According to Beemer's interpretation, Mexican War veteran Wallace was highly motivated in the early months of the Civil War to redeem the military reputation of his home state, which was tainted by allegations of bad conduct by Indiana volunteers at the 1847 Battle of Buena Vista. His well executed 1861 surprise attack at Romney in western Virginia using the regiment he recruited and trained (the 11th Indiana, "Wallace's Zouaves") restored Indiana's honor in the mind of Wallace. Unfortunately, several troubling command traits would also be established early in the war. The impatient Wallace was ever ready to disregard or exceed orders and he repeatedly ignored the chain of command to promote his own views and concerns. As first demonstrated through his efforts at undermining Charles F. Smith in Kentucky, Wallace's military character would not include the loyalty to superior officers that was expected of subordinates. During the February 1862 Henry-Donelson campaign, Wallace's value as a combat commander blossomed, although he would not receive the personal accolades he felt he deserved. With Grant temporarily absent, and his division commanders left with orders to remain in position, the Confederates attacked at a propitious moment on February 15, caving in the Union right and threatening to completely rout the federal army. On his own initiative, Wallace advanced up Wynn's Ferry Road and repelled multiple Confederate assaults, forcing the enemy to fall back. While Beemer is justly impressed by Wallace's actions, his characterization of them as offensive moves in direct disobedience of Grant's orders seems open to question. Surely high ranking officers possess the latitude to use their own judgment in moments of crisis, especially when the overall commander is absent from the field and unable to provide further direction. Also, it's debatable whether setting up a blocking position astride a key road behind one's own lines should be deemed an "offensive" move. Regardless, Beemer's characterization of Wallace as a cool-headed combat commander of considerable tactical acumen is well established in the book. On Wallace's part, he performed well and should have been satisfied with promotion to major general but he simply could not keep silent when talking would only cultivate powerful enemies. By this point in history, most neutral observers of the Battle of Shiloh have accepted what we might call the "Wallace view" of events on April 6 and rejected most key tenets of the "Grant view" (principally created by staff officers William R. Rowley and John A. Rawlins). The charges central to the Grant view — that Wallace chose the wrong road to the battlefield, got "lost," and moved inordinately slow — have been effectively refuted in the literature and Beemer's own conclusions on these matters are confirmatory in nature. 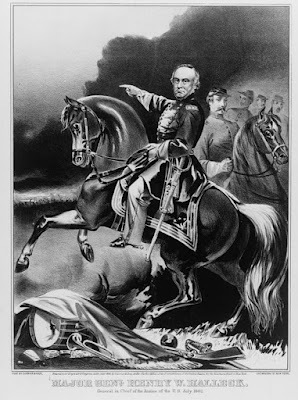 In discussing Shiloh, Beemer largely sticks to April 6 and does not address later claims by Wallace critics that the Indiana general's leadership was also dilatory during April 7, when his 3rd Division comprised the far right flank of the Union army. This area of censure has also been convincingly overturned by recent scholarship. As Beemer shows, the Grant-Wallace controversy didn't really heat up until the 1880s with the publication in the O.R. of documents written by Grant staffers Rowley, Rawlins, and James B. McPherson in support of their chief and decidedly hostile to Wallace. These reports, originally composed in early 1863, were buried by then General-in-Chief Henry Halleck, who had no desire to revisit Shiloh at that critical point in the war. Curiously, the man who carried Grant's original order (which was subsequently lost), Captain Algernon S. Baxter, submitted no report of his own. Given the substance of later Baxter comments that were not in keeping with the evolving Grant view, Beemer takes this to mean that the staff officer chose loyal silence (the antithesis of the Wallace method of doing things) over rocking the boat and perhaps incurring the wrath of his wartime benefactor. Beemer characterizes the popular post-war acceptance of the Grant view as the product of a cover-up by Grant, Rowley, Rawlins, and Halleck [Beemer excludes McPherson from the group]. "Cover-up" is a loaded term that implies a level of dark orchestration that, depending on the reader's view, may or may not be appropriate in this case but the author's analysis leading him to that conclusion is impressively constructed and presented. Beemer's meticulous dissection of the Rowley and Rawlins reports forcefully highlights the untruths, half-truths, misconceptions, and invented facts that would be collectively used to reinforce the image of Grant as the calm, decisive, and clear thinking commander and portray Wallace as the confused incompetent amateur that nearly lost the battle for the Union cause. Not all of Beemer's arguments are equally convincing and some minor points seem exaggerated in importance but the overall analysis is straightforward, deep, and persuasive. While the whole affair does not reveal Grant's character in the most flattering light, Beemer's assessment of Grant's relative silence during most of the period between Shiloh and the writing of his famous memoirs as mostly stemming from a desire to rid himself of a subordinate he felt he could not work with (even though he might have appreciated Wallace's fighting skills) seems reasonable. The author assigns much more direct malice to the machinations of Halleck, who hated having civilian-generals in positions of great authority and blocked Wallace's ambitions and petitions for redress at every turn. Halleck's placement of Wallace on his infamous list of Union political generals to whom entrusting important commands was "little better than murder" is patently absurd. 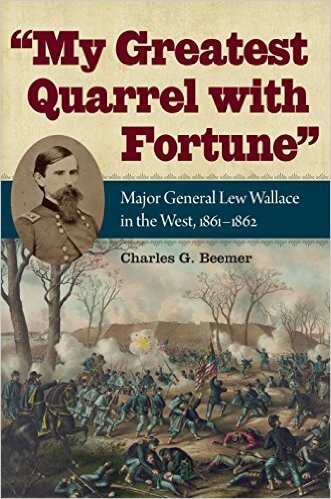 In this study, author Charles Beemer very effectively gets to the heart of why Wallace, who forged an enviable early war combat record that seemingly destined him for military fame and glory, was essentially rendered persona non grata in the Union high command. Clearly, Lew Wallace was ill-served by the nation's military apparatus but Beemer assigns secondary status to these outside forces. The primary source of Wallace's misfortune was his own behavior off the battlefield. Great controversies seek out scapegoats and men like Wallace, who could be their own worst enemies, have targets on their backs and are also least equipped to survive the storm. Nakedly ambitious subordinate generals who are disloyal to superiors, ignore the chain of command, and demonstrate a frequent willingness to exceed or disregard orders tend to acquire few friends, and many enemies, in high places. Lew Wallace's struggle with himself was truly his "greatest quarrel with fortune." • Colonel Andrew Cowan: Union Soldier, Louisville Citizen, Peacemaker by Bryan S. Bush (Acclaim Pr, 2015). Immigrating to the U.S. from Scotland as a youth, Cowan was a college student when the Civil War broke out. Commissioned as a lieutenant in the First New York Indep. Battery, Cowan fought with the Army of the Potomac from the Peninsula Campaign through Appomattox, ending the war as a VI Corps artillery brigade commander. Returning to civilian life, Cowan settled in Louisville, where he became a successful businessman and philanthropist, while also being very active in organizing veteran events. Bush's book is a full biography of Cowan, with substantial space devoted to the post-war period. • Damn Yankees! : Demonization and Defiance in the Confederate South by George C. Rable (LSU Press, 2015). Wartime populations often dehumanize their foes and extol their own virtues. Both sides certainly did it during the Civil War. Studying the phenomenon from one side, this slim volume examines how anti-North rhetoric bolstered Confederate resistance. "Drawing from speeches, cartoons, editorials, letters, and diaries, Damn Yankees! examines common themes in southern excoriation of the enemy. In sharp contrast to the presumed southern ideals of chivalry and honor, Confederates claimed that Yankees were rootless vagabonds who placed profit ahead of fidelity to religious and social traditions. Pervasive criticism of northerners created a framework for understanding their behavior during the war. When the Confederacy prevailed on the field of battle, it confirmed the Yankees’ reputed physical and moral weakness. When the Yankees achieved military success, reports of depravity against vanquished foes abounded, stiffening the resolve of Confederate soldiers and civilians alike to protect their homeland and the sanctity of their women from Union degeneracy." 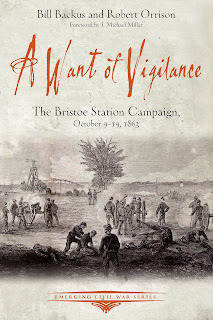 Backus and Orrison: "A WANT OF VIGILANCE: The Bristoe Station Campaign, October 9-19, 1863"
A new volume from the prolific Emerging Civil War group of writers, A Want of Vigilance addresses the oft neglected Bristoe Campaign, an indecisive yet vigorously pursued October 1863 military operation involving George Gordon Meade's Army of the Potomac and Robert E. Lee's Army of Northern Virginia. Though overshadowed by the massive bloodletting of the following year, total casualties were not insignificant and the Confederates lost several valuable brigade commanders killed or badly wounded, further leadership losses they could ill afford after Gettysburg's officer toll. Authors Bill Backus and Robert Orrison begin by effectively set the scene of the Fall 1863 seat of war in Central Virginia before launching into a fine overview treatment of the series of Confederate offensive maneuvers aimed at turning the Union position from the west and perhaps falling on Meade's flank and rear. During the second week of October, cavalry battles involving the screening forces of both sides were fought at James City (Oct. 10) and Brandy Station (Oct. 11). JEB Stuart overreached and was surrounded at Auburn on October 13-14, necessitating a rescue operation by Richard Ewell's II Corps. After that close call, the overall Federal situation remained precarious, however, and Meade's army soon was in full retreat up the Orange & Alexandria Railroad. At Bristoe Station on the afternoon of the 14th, the Army of the Potomac repelled with heavy loss several charges from A.P. Hill's pursuing III Corps and escaped across nearby Broad Run during the night. With the Union army now firmly entrenched at Centerville, Lee ran out of options and withdrew, but not before Stuart's cavalry routed their Union counterparts at Buckland Mills on October 19. With even the relatively short flank marches of the Bristoe Campaign stretching the logistical capabilities of Lee's army to the limit, readers of the book can readily appreciate the poor state of the support services of the post-Gettysburg Army of Northern Virginia and how they limited Lee's offensive options. In another area of concern, while the autumn campaigns allowed the Federals to identify and weed out ineffective commanders of their own (ex. French and Sykes), the Bristoe operation offered yet another clear indication of how an Army of Northern Virginia without Jackson and Longstreet was only a shadow of its former self when led by the likes of Ewell and Hill. 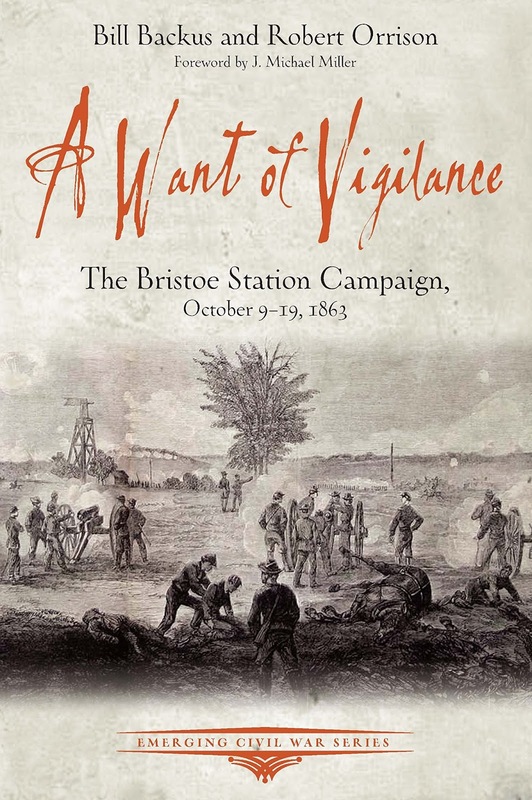 The relatively small scale of the Bristoe Campaign battles and skirmishes allowed fairly detailed accounts of each action [James City, Brandy Station, Auburn, Bristoe Station and Buckland Mills] to be presented in the book. Operating within the established constraints of the series format, Backus and Orrison demonstrate a great deal of skill in the art of campaign narrative. Supporting their text is a fine set of detailed maps. In addition to the multitude of photographs and other illustrations that have become a hallmark of the ECW series, there is also a nine-stop driving tour, which is incorporated into the main text rather than offered as a separate feature. The appendices address a variety of topics. There is no way to know exactly what Lee said during his oft quoted rebuke of Hill in the wake of Bristoe Station, but from the five available sources evaluated by Backus in the first appendix it seems reasonable to conclude that heated words were spoken. Another piece recounts a 1st Maine Cavalry reconnaissance mission and other contributors survey the Rappahannock Station, Kelly's Ford, and First Bristoe Station battles. 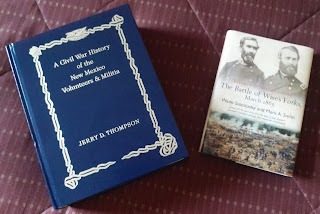 Along with a preservation timeline and orders of battle, a brief appreciation of the campaign as more than a historical blip between Gettysburg and the Overland Campaign is included. The only thing that really mars the reading experience is the excessive number of print gaffes (some quite embarrassing in nature) missed by the proofreading process. That issue aside, A Want of Vigilance ranks among the best entries in the ECW series to date and one looks forward to seeing more work from authors Backus and Orrison. ... but no one can make Henry Halleck look heroic. I saw this illustration for the first time yesterday and had to share it. • James Garfield and the Civil War: For Ohio and the Union by Dan Vermilya (Arcadia Pub & The Hist Pr, 2015). In terms of historical memory, Garfield's assassination overshadowed a pretty interesting Civil War military career. Not generally thought of as an independent field commander, Colonel Garfield successfully drove Confederate forces out of East Kentucky during winter 1861-62, his Big Sandy Campaign only lightly addressed in the literature until recent years. His reward would be a brigadier's star. Garfield and his 18th Brigade arrived at Shiloh as the battle was ending and he spent a good chunk of the war's middle period sidelined by illness and court-martial duty (the Porter trial). He returned to field service as Rosecrans's Chief of Staff after Stones River, so the book covers Tullahoma and Chickamauga. Garfield resigned in December of that year and embarked on another career in national politics, one that would lead him all the way to the top. All of this is covered in Vermilya's concise study. An appendix goes into more detail about the controversial Garfield-Rosecrans relationship and another samples his oratorial skills. Wise, Rowland, w/ Spieler: "REBELLION, RECONSTRUCTION, AND REDEMPTION, 1861-1893: The History of Beaufort County, South Carolina, Volume 2"
The middle part of an ambitious trilogy, Rebellion, Reconstruction, and Redemption, 1861-1893: The History of Beaufort County, South Carolina, Volume 2 picks up where The History of Beaufort County, South Carolina: 1514-1861* left off almost twenty years ago. Bringing historian Stephen Wise on board was an astute move on the part of project mainstay and co-author Lawrence Rowland, as Wise's Civil War in South Carolina expertise is a clear asset to Volume 2. With county boundaries shifting over time, the large geographical area under consideration in the book is better described as the Beaufort District. In general terms, the district encompasses the ground lying between the Savannah and Salkehatchie-Combahee rivers on one axis and between the 1878 Barnwell/Hampton county border and the sea islands on the other, with the societal transformations of the last comprising much of the volume's focus. The breadth and depth of the portion of the narrative recounting military events that occurred within the district is rather astonishing. The treatment could work equally well as a standalone study of land and naval operations conducted up and down the South Carolina coast between the Charleston & Savannah Railroad and the sea islands. 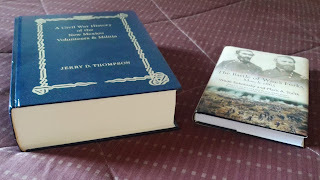 The book details the Confederate evacuation of the sea islands, the Union occupation and expansion of their coastal enclaves, the Confederate defensive arrangements for the Beaufort District, the 1862 Battle of Pocotaligo, the Combahee and Bluffton raids, the November 1864 Battle of Honey Hill, and the battles around Tulifinney's Crossroads. In addition to the more prominent military actions, innumerable lesser raids and skirmishes are described in the text. The study also offers an extensive treatment of the passage of William T. Sherman's army through the district during the last winter of the war. A well conceived Confederate mobile defense strategy protected the railroad and prevented inland occupation by Union forces for most of the war but the district was helpless to resist Sherman's blue tide. Most scholars credit Robert E. Lee for designing a practical strategy for coastline defense in South Carolina after the Port Royal disaster in 1861, one that subsequent Confederate commanders used with great success before the arrival of Sherman's army in the district in early 1865, but the authors contend that Roswell Ripley deserves recognition for laying much of the initial groundwork. 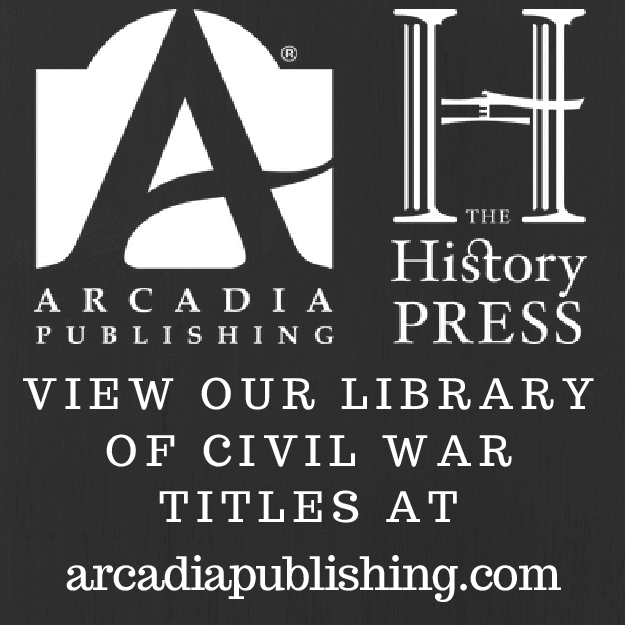 Overall, the military coverage is very comprehensive and the volume's account of the November 30, 1864 Honey Hill battle is the best in the Civil War literature. Equally impressive is the book's historical treatment of the famous Port Royal Experiment, the government sponsored social program that sought to bring freedom, education and opportunity to thousands of South Carolina freedmen and their families. Following Union occupation of the sea islands, northern missionaries, teachers, nurses, government officials and observers flooded into Port Royal and Hilton Head, setting up churches, hospitals, and schools. Lessons in civics and free labor would prepare former slaves for a promised future as productive citizens. Federal revenue officers also arrived, tasked with enforcing newly imposed property tax laws. Thousands of acres of abandoned land were foreclosed upon and opened up for auction. With successive Department of the South commanders displaying varying degrees of support for the Port Royal Experiment, Union general and military governor Rufus Saxon cheerfully assumed the position of primary protector of the welfare of freedmen. When northern speculators quickly grabbed up much of the available acreage, Saxton used his influence to ensure that some lands were set aside for ex-slaves. Black army recruitment (with Saxton moderating abuses in this arena, as well) and unit formation in the sea islands are also discussed at length. By mid-1864 half the combat troops in the Department of the South were black. Beyond the general need for tighter proofreading, the book's most prominent flaw is the inadequacy of the map set. Some of the contemporary line drawings, along with maps borrowed from other sources like the atlas to the O.R., are fine on their own account but many are difficult to decipher in their shrunken form and none are associated closely enough with the text's descriptions of military operations to offer much in the way of material assistance to the reader. The book concludes with a lengthy section examining the social, political, and economic changes in the district between 1865 and 1893. During this period of time, many freedmen gains with origins traced back to the wartime Port Royal Experiment would gradually be eroded. The authors point to Republican infighting, financial scandals, and skyrocketing taxes [mostly in the form of property taxes, which placed disproportionate burdens on cash-strapped small farmers, white and black] to pay for expensive and inefficient government as important factors contributing to Democratic resurgence. In their analysis, Rowland and Wise draw a clear distinction between the sea islands and mainland South Carolina. While black legislative majorities lasted eight years during Reconstruction in South Carolina, the power and influence of freedmen was sustained decades longer in the sea islands. Many black political leaders are profiled, but local civic leader, businessman, and long serving politician Robert Smalls (the freedman who became famous during the war after the Planter exploit) is the "indispensable man" of the narrative. On the islands, black land ownership was sustained and expanded post-bellum and the book documents many incidences of murder and violence instigated by both whites and blacks, the former seeking to regain lost properties and the latter equally determined to resist repossession. 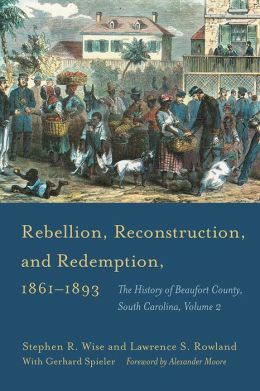 According to Rowland and Wise, the postwar economic boon in places like the Beaufort District remains generally underappreciated in Reconstruction-era histories of South Carolina. The authors carefully document, among other things, the key roles that cotton growing, railroad expansion, and the timber and phosphate industries played in the increased prosperity enjoyed by the district's white and black residents. The deep water port facilities of Port Royal, brilliantly exploited by the Union navy during the war, also made the district attractive to maritime shipping, with growth and traffic increasing by leaps and bounds for both domestic and international trade. Finally, the book discusses the Redemption period and concludes with the 1892 election of the "People's Ticket." According to the authors, this last event marked the peak of fusion politics and also the real end to the district's ruling system that was forged decades earlier during Reconstruction. If the scholarly depth and quality of the first and third installments of the series approach anywhere near the levels achieved in Rebellion, Reconstruction, and Redemption, 1861-1893, the Beaufort District will have been accorded that rare type of magisterial local study that all regions of comparable size and importance to American history hope to attain. Indeed, the study's thematic reach in terms of societal transformation extends far beyond local concerns and the book is highly recommended reading for all students of the Civil War era. * - The History of Beaufort County, South Carolina: 1514-1861 by Lawrence S. Rowland, George C. Rogers, and Alexander Moore (Univ of SC Press, 1996). The final volume was released this month. • New Directions in Slavery Studies: Commodification, Community, and Comparison edited by Jeff Forret and Christine E. Sears (LSU Press, 2015). "New Directions in Slavery Studies addresses the various ways in which the institution of slavery reduced human beings to a form of property. From the coastwise domestic slave trade in international context to the practice of slave mortgaging to the issuing of insurance policies on slaves, several essays reveal how southern whites treated slaves as a form of capital to be transferred or protected. An additional piece in this section contemplates the historian’s role in translating the fraught history of slavery into film. Other essays examine the idea of the “slave community,” an increasingly embattled concept born of revisionist scholarship in the 1970s. This section’s contributors examine the process of community formation for black foreigners, the crucial role of violence in the negotiation of slaves’ sense of community, and the effect of the Civil War on slave society. A final essay asks readers to reassess the long-standing revisionist emphasis on slave agency and the ideological burdens it carries with it. Essays in the final section discuss scholarship on comparative slavery, contrasting American slavery with similar, less restrictive practices in Brazil and North Africa. One essay negotiates a complicated tripartite comparison of secession in the United States, Brazil, and Cuba, while another uncovers subtle differences in slavery in separate regions of the American South, demonstrating that comparative slavery studies need not be transnational." Engineering Victory... didn't we just...? yes, we did. It's very common for books and movies to share titles with previous releases but you don't see it too much in Civil War non-fiction, especially two books sharing some common subject matter and published barely a year apart (thank heavens for subtitles). Justin Solonick's Engineering Victory: The Union Siege of Vicksburg was one of 2015's best books and in Spring '16 we'll see Engineering Victory: How Technology Won the Civil War from Thomas Army. Granted, it's an appealing play on words but someone at Johns Hopkins should have donned the creative hat and come up with something else. Title oddity aside, the book sounds intriguing. Civil War authors continue to be very fond of reducing Union victory to one overarching factor of some kind, be it Lincoln's leadership, Grant's generalship, the navy, or the Irish Brigade, but Army "identifies strength in engineering―not superior military strategy or industrial advantage―as the critical determining factor in the war’s outcome." "Army finds that Union soldiers were able to apply scientific ingenuity and innovation to complex problems in a way that Confederate soldiers simply could not match. Skilled Free State engineers who were trained during the antebellum period benefited from basic educational reforms, the spread of informal educational practices, and a culture that encouraged learning and innovation. During the war, their rapid construction and repair of roads, railways, and bridges allowed Northern troops to pass quickly through the forbidding terrain of the South as retreating and maneuvering Confederates struggled to cut supply lines and stop the Yankees from pressing any advantage. By presenting detailed case studies from both theaters of the war, Army clearly demonstrates how the soldiers’ education, training, and talents spelled the difference between success and failure, victory and defeat. He also reveals massive logistical operations as critical in determining the war’s outcome." Swap "in a way" with "on a scale" in that first sentence and there isn't much that I would disagree with in the description and one certainly doesn't have to share Army's view of military engineering's primacy over all suggested factors underlying Union victory and Confederate defeat to appreciate its importance. • The Aftermath of Battle: The Burial of the Civil War Dead by Meg Groeling (Savas Beatie, 2015). Groeling's book is a bit of a departure from the typical Emerging Civil War series volume in that it doesn't cover a specific military event but rather a subject common to all Civil War battles, the burial of the slain. It examines interment rituals, standards and practices with chapters constructed around individuals, places, and events. Cemeteries, monuments, markers, and museums associated with the history and remembrance of the chapter topics are also discussed, with the series's usual profusion of photographs and other illustrations. But others alter orbits, affect tides and shatter the necks of finishing school maidens doing their exercises. • Bridging the Sea Island's Past and Present, 1893-2006: The History of Beaufort County, South Carolina, Volume 3 by Lawrence S. Rowland & Stephen R. Wise (Univ of SC Pr, 2015). Bridging the Sea Island's Past and Present, 1893-2006 is the concluding volume of a monumental Beaufort County, South Carolina local history trilogy. 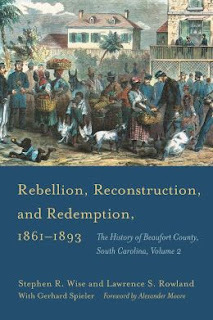 With twenty years between The History of Beaufort County, South Carolina: 1514-1861 and Rebellion, Reconstruction, and Redemption, 1861-1893: The History of Beaufort County, South Carolina, Volume 2 it's a bit surprising to see 2 and 3 come out in the same year. My review of Rebellion, Reconstruction, and Redemption will be posted sometime in the next week or so. That book ended with hints of an upcoming natural disaster and indeed Volume 3 begins with the Great Sea Island Hurricane of 1893 before turning readers toward in-depth treatments of the full range of social, demographic, political, international and economic forces that shaped life in Beaufort County over the past 120 years. Sokolosky & Smith: "'TO PREPARE FOR SHERMAN'S COMING': The Battle of Wise's Forks, March 1865"
The 1865 Carolinas Campaign has attracted a rather full library shelf of fine modern studies but one important aspect of it, the Union operation launched from the North Carolina coast with the dual object of capturing Goldsboro and linking up with William T. Sherman's advancing host, has been comparatively neglected. The key battle at Wise's Forks (or Wyse Fork) has been the subject of two recent but obscure publications (a 2008 self-published battle study by Timothy Auten and a 2006 compilation of source material and illustrations edited by Tom Edwards and William Rowland) but neither work approaches the research, descriptive depth, and adept analysis of Wade Sokolosky and Mark Smith's "To Prepare for Sherman's Coming": The Battle of Wise's Forks, March 1865. By the time Sherman's army reached the heart of the Old North State in March of 1865 it was at the tail end of a long march and badly in need of refit and resupply. The goal was to meet General John Schofield's newly assembled Union army at Goldsboro, where it was hoped that the town's rail link to the coast would be already repaired and ready to unleash the flow of Union logistical abundance. It didn't quite go as planned, with Schofield's columns from Wilmington and New Bern slowed by support problems of their own as well as a revitalized and reinforced Confederate resistance coordinated by Department of North Carolina commander General Braxton Bragg. Why Schofield's army moved so slowly is clearly explained by Sokolosky and Smith. To begin with, Innis Palmer, the Union general tasked with laying the groundwork for the operation, dawdled for weeks so by the time Schofield and his chief lieutenant Jacob Cox arrived the whole operation was badly behind schedule. To add to this, the units arriving by ship to join the expedition did so without their wheeled transport. The lack of a wagon train would wed the entire command to the railroad between New Bern and Goldsboro, a stretch that was extensively damaged during the war. This in turn meant that Cox's transport-starved divisions could advance only as quickly as the railroad could be rebuilt. Nevertheless, by the end of the first week in March the Union army was nearing the Neuse River and the town of Kinston. Bragg's defenders included NC Junior Reserves bolstered by Robert Hoke's Army of Northern Virginia division and a steady trickle of Army of Tennessee remnants under D.H. Hill. 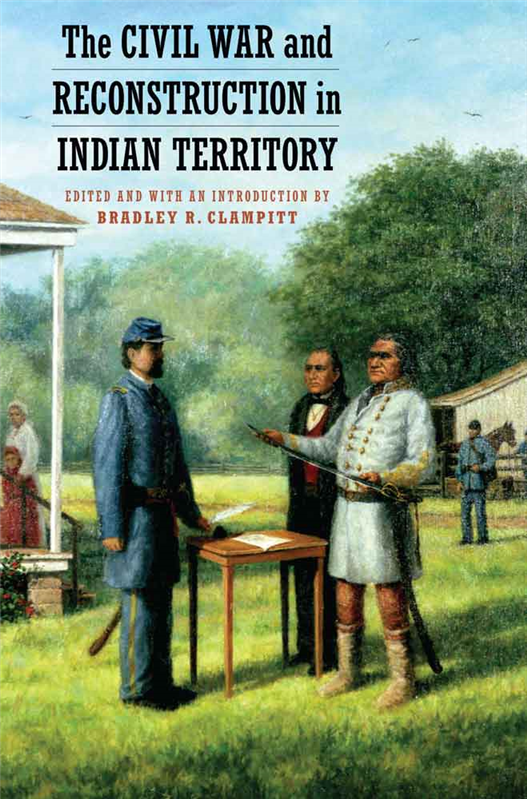 The ensuing March 7-10 Battle of Wise's Fork is recounted in exquisite detail in the book. On the 7th, two of Cox's divisions, those of Palmer and Samuel Carter, timidly brushed up against Confederate fortifications positioned behind Southwest Creek. The authors criticize the Union failure to seize at least one creek crossing on that first day, a result which would have unhinged the entire Confederate position. Instead, Palmer and Innis's divisions bedded down at sites neither mutually supporting nor adequately picketed. On the 8th, Bragg went on the offensive, gashing the defenders and effectively destroying an entire Union brigade. Unfortunately, Bragg spoiled the fruits of his victory by sending half of his strike force on a fruitless flanking march to the north. In the meantime, Cox's third division (his best one under Thomas Ruger) arrived on the field and assumed its place in the Union center between the railroad and the Wise's Fork crossroads. With both flanks refused and the army digging in along a rise fronted by a swollen creek, the Union position was strong and Cox would use his advantage in interior lines to good effect during the rest of the battle. Bragg continued his offensive on the following day but Hoke's attack against the Union right flank was aborted [according to the authors, the sources have little to say about this mysterious event]. On the 10th, Hoke surprised Cox by hitting the Union far left flank. The danger was only momentary, however, and reinforcements from the center assisted by federal artillery positioned atop the high ground surrounding Wise's Fork helped break up the Confederate attack. In the afternoon, Hill's Army of Tennessee contingent attacked the enemy center and was also repulsed. Denied quick victory, Bragg fell back into the North Carolina interior, his units detached and sent to join Joe Johnston for the climactic Battle of Bentonville. The book's battle narrative is impressive, a product of the authors's expert knowledge of the available source material and the ground upon which the battle was fought. Supporting the text is an excellent set of maps created by master cartographer George Skoch. Some scholars have questioned the wisdom of Johnston supporting Bragg's offensive but Sokolosky and Smith recognize that Schofield's army represented the most immediate threat to the already precarious Confederate strategic position in North Carolina. Time was running short and the margin for error was very thin but even with a number of missed opportunities Bragg's army was able to halt Schofield's advance for four critical days, when every moment was precious to Johnston's feverish attempt to concentrate enough troops to deal a substantial blow to Sherman. 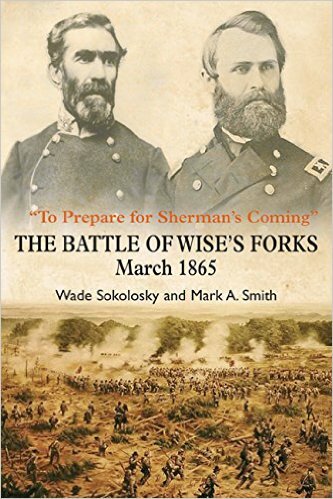 The authors argue persuasively that the Wise's Fork battle possessed a strategic importance that belied its modest size and death toll. The appendices contain orders of battle as well as detailed investigations into numbers and losses. Wise's Forks is one of many Civil War battles with multiple names and what's missing is an explanation of why the authors went with Wise's Forks, instead of the more typical Wyse Fork, but that's a minor point. In its exhibition of all of the essential elements of the modern Civil War battle study, To Prepare for Sherman's Coming is a flawless book. 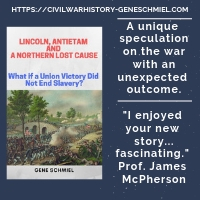 It is mandatory reading for serious students of the Civil War in North Carolina as well as those with a more general interest in the final military campaigns of the war. Scarcely a day passes as a Civil War book reader without being subjected to one or more of the usual suspects of careless print editing errors (e.g. secession/succession, disperse/disburse, calvary/cavalry, ordinance/ordnance, eminent/imminent and the like). That's one level, but it's almost comically inconceivable to have to read about Ewell's "corpse" chasing Yankees across the countryside or troops being subjected to a "fuselage" of rifle fire. In my mind, such word travesties lead to an especially jarring brand of narrative spell breaking. Many people are able to shrug this off as the natural consequence of the new economics of publishing but I find this kind of manuscript treatment disheartening. • The Lost Gettysburg Address by David T. Dixon (Author: B-List History, 2015). This title puzzled me as I wasn't aware of any other major speakers at the Gettysburg cemetery dedication beyond Lincoln and Everett. Abraham Lincoln Online reveals that after the ceremony Lincoln had lunch and attended a public reception where he met the famous John Burns. Then "Lincoln walked down Baltimore Street with Burns to the last event of the day at the Gettysburg Presbyterian Church. Here they heard a speech by Charles Anderson, Lieutenant Governor of Ohio." 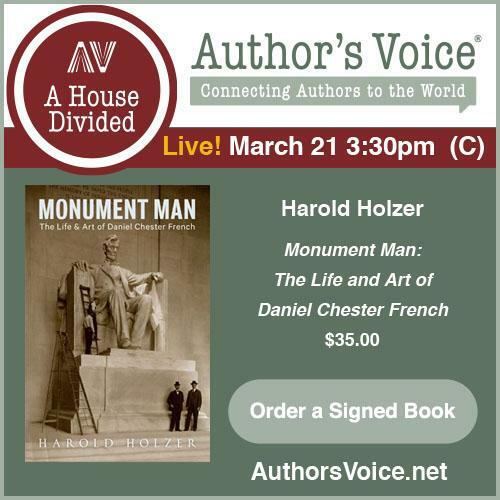 Dixon's book explores the life of this Charles Anderson, as well as his speech (which was apparently lost to history until rediscovered in an old box in Wyoming). Anderson was a Kentucky-born slaveholder who ran afoul of Confederate authorities in Texas after declaring publicly for the Union. Escaping to the North, he joined the army, was wounded at Stones River, and was later elected Lieutenant Governor of Ohio in 1863 (becoming governor in late 1865 upon the incumbent's death). 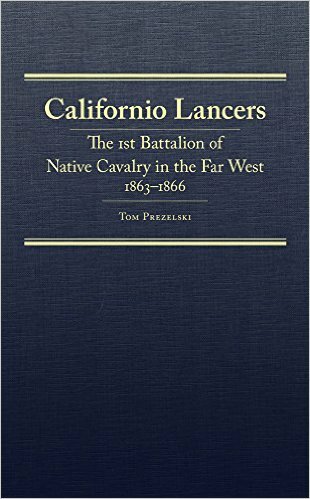 Prezelski: "CALIFORNIO LANCERS: The 1st Battalion of Native Cavalry in the Far West, 1863 - 1866"
Of California's contribution of 16,000 soldiers to the Union cause, the four-company battalion of "native" lancers recruited in 1863 was surely the most unique group of volunteers. Primarily recruited from ranching counties located in the central and southern regions of the state, the 1st Battalion of Native Cavalry consisted mostly of Spanish speaking "Californios" as well as many immigrants from Central and South America. In the tradition of their military forbears the troopers were armed with lances, while being also issued with sabers, pistols, and carbines at various times during their service. 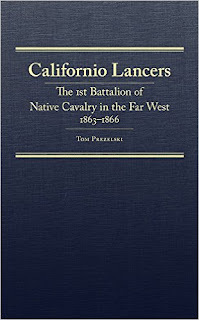 The history of this unit during the Civil War and beyond is the subject of Tom Prezelski's groundbreaking study Californio Lancers: The 1st Battalion of Native Cavalry in the Far West, 1863 - 1866. As Prezelski notes, the general illiteracy of the rank and file makes exploring their personal motivations difficult. During 1863-64, the state experienced a severe drought that devastated the cattle herds that represented the local economies of the counties from which most of the battalion were recruited. Regular food and pay must have appealed to many newly unemployed vaqueros. With the old country in mind, some felt that the U.S. government was the side best suited to resist the kind of imperial European aggression that was then raging south of the border. With Californios now a distinct minority in their home state after massive emigration from the rest of the United States, concerns regarding full citizenship, including perhaps greater legal consideration over claims involving decades old land grant disputes, may also have been a motivating factor. What does seem clear is that ideological concerns related to the great schism between North and South did not rank highly among reasons for enlistment. As the battalion did not operate together as a single unit during the Civil War years, the first two-thirds of the book is comprised of functionally independent company histories for the period 1863-65. Company A was organized in San Jose, California with Jose Ramon Pico as its captain. As would become a disturbing pattern in at least three of the four battalion companies, officer infighting, malfeasance, and dereliction of duty would make recruitment, organization, and training a long, drawn out process additionally hampered by mass desertion. When Company A was finally fit to take the field in December 1863 the men were directed to the isolated northern counties to fight hostile tribes. Unfortunately, discipline and desertion problems persisted during active service. The company also dealt with isolated incidents of civil unrest before marching south to join the rest of the battalion in the spring of 1865. Organized in the Bay Area and posted at the Presidio for the balance of 1864, Company B led by Captain Ernest H. Legross stood out from the other companies in that only a handful of its troopers had Spanish surnames. The majority of its soldiers were French speakers, though heavy desertion and subsequent refilling of the ranks would significantly alter the ethnic balance. In January 1865 the company moved 100 miles south to San Juan Batista, a supposedly "Copperhead" town where a vicious band of bandits were operating with impunity. Though the gang wasn't destroyed its members were driven south and in March the company would also move in that direction, to Drum Barracks near Los Angeles. There, it would join up with the rest of the battalion, the whole soon to be bound for Arizona. Captain Antonio Maria de la Guerra's Company C was raised in Santa Barbara and formally mustered into service in July 1864. It was the only company in the battalion to have the minimum number of privates from the start. Ordered to Drum Barracks in August, Company C arrived there on September 2. Company D, led by Captain Jose Antonio Sanchez, was recruited from the Los Angeles area in early 1864 and was immediately posted to Drum Barracks, where the men were mostly employed as laborers on the San Gabriel Ditch project. In spite of this questionable diversion from military duties, morale seems not to have suffered and the unit had far fewer discipline problems and desertions than either of Companies A and B. With the canal completed in August, Company D conducted wide ranging patrols to show the flag and protect pro-administration voters (while also intimidating the opposition) during the 1864 elections. During this time, their reach extended all the way east to the California-Arizona border and south to the U.S.-Mexico national boundary. As regular readers of Civil War military history know, lancers were an anomaly among the cavalry forces of both sides. According to author Tom Prezelski, the 1st Battalion's lances were not merely ceremonial in nature and did accompany the men on active campaign. Unfortunately, the book does not include any firsthand accounts that specifically point to their use in the field. With the war concluded, the now reunited battalion crossed the southern desert to Arizona's Fort Mason, a lonely post located near the international border with Mexico. During the journey the companies continued to suffer from heavy desertion and malarial sickness raged after the battalion reached Fort Mason. Those few well enough for duty patrolled the national border, at one point warning off a sizable incursion into the U.S. by a sizable Imperialist-allied force. During the ensuing winter, the native cavalry joined other units in a mountain campaign against the Apache, a punitive operation that entirely failed. Replaced by the returning Regular Army in 1866, the battalion rode back to California and was mustered out of service. In addition to his battalion history narrative, Prezelski also compiled a number of useful appendices, the most significant being the company rosters. Another appendix item of interest is the author's desertion analysis, which linked desertion rates with the quality of officers. A and B had the most abysmal leadership of the four companies by far and each suffered desertion rates of well over fifty percent. While the 1st Battalion of Native Cavalry did not fight in any great Civil War battles or distinguish themselves in any particular way, they did their part handling internal and external threats to loyal citizens and represented the U.S. flag over vast expanses of the remote West. Like many other California units did, the native cavalry also confronted hostile tribes to the best of their ability in the absence of the Regular Army. The first full length history of the men and operations associated with this unique and little studied military unit, Tom Prezelski's Californio Lancers significantly enhances our knowledge and understanding of the Civil War in the Far West.